Want to save MONEY on school supplies? Click the link below and buy your supplies today for an average savings of $40 as compared to Amazon! Take the guess work out of back to school shopping and use our link today! All proceeds will benefit the KMS Student Mentoring Program. You may also donate supplies to the mentoring program by selecting the "donate a kit" option. Contact Danielle MacIntosh (macintoshd@krsd.org) with any questions or concerns. 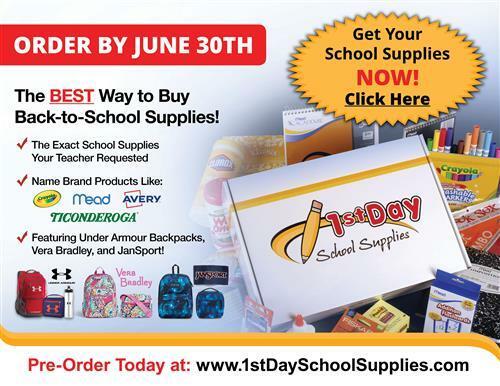 You can now order name brand backpacks, lunch boxes, and water bottles separately! Click on accessories to see all the fun patterns that have been added. While current 8th graders may not have supply lists for high school, they can still order our accessories and save the trip to the store!